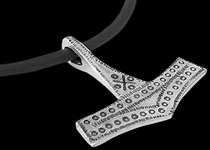 Our handcrafted men's sterling silver pendants are an elegant blend of contemporary and masculine design. 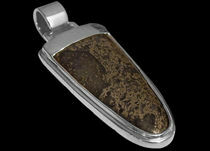 These sterling silver pendants embody quality and workmanship that is typical of Just 4 Men silver jewelry. We have an extensive selection of sterling silver pendants, one of a kind and limited edition sterling silver pendants which cater to a variety of different tastes. Our men's sterling silver pendants are unique enough to be worn on their own or accessorized with our designer handcrafted men's silver bracelets and silver necklaces.A common trend among the youngsters is to wear pendants that match their outfit. They would have a few sterling silver pendants and a single silver chain that they would mix and match to complement with their apparels. 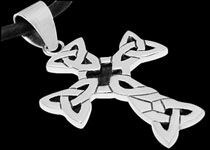 Our silver cross pendants are in rage today as gifts for all religious occasions. Cross silver pendants are available in various styles finishes ranging from antique, rustic, polished and hammered. You would also find sterling silver cross pendants studded with precious stones such as turquoise, topaz, moonstone, garnet, or Celtic silver cross pendants, Nordic silver pendants.There are many different kinds of silver pendants for all age groups to choose from our website. Our silver pendant make perfect gifts for Graduation Day, Father's Day, Valentines Day, Birthday Gift or as a Groomsmen's gift for that special occasion you wish to commemorate. 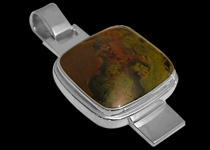 To convert these silver pendant prices to your local currency click here.